The big yellow ball is showing up in the sky again in-between bouts of rain, hail, thunder and a slew of other apocalyptic weather. I can finally start playing (read: weeding) in my garden, dust off my hiking boots, and start buying ALL the rhubarb in the grocery store. Because my rhubarb orange cardamom pie ain’t gonna make itself, ya’ll. re-design. After all, businesses change, your ideal clients change and so does technology. In fact, I recently got a question from a prospect who asked if I thought she should re-brand her website. Her website theme was so old that it didn’t have a content management system she felt confident using, it wasn’t responsive to mobile devices, and didn’t have an SSL either. What’s more, she was massively shifting her messaging and focusing on a whole new audience. She was ready to tackle writing her first book and wanted to be seen as an expert in her field so she could land some seriously impressive press and speaking gigs, and didn’t want to send people to a website she wasn’t proud of. After all, the last thing you wanna do is show up on The Today Show to promote your new book only to drive viewers to a janky website that looks like it came straight outta 2001. I mean, what would Hoda Kotb and Savannah Guthrie say? You’re ready for a new image. Maybe you don’t feel “at home” in your design anymore and it doesn’t reflect how you want your customers, clients or colleagues to see you. Maybe you have a new mission, vision, or purpose in your business that your current design and strategy doesn’t reflect, or you’re ready to step into a bigger version of yourself to attract higher-quality clients.For example, let’s say you’re an Interior Designer with 1:1 services and some digital products. But, you really wanna transition into being more of a lifestyle brand, showing others how to be happy and healthy in their homes, business and life. That’s a pretty massive shift from being just an Interior Designer, and would warrant a re-brand that doesn’t just show a gorgeous portfolio of design work, but also shows what a happy, healthy home, business and life look like. Your new design would also need to feature you as a thought leader and expert in your field, making you look larger than life, so others look at you like the expert you are. Your design is too close to that of your competitors. If your website blends in, is too generic and doesn’t stand out from other businesses out there, then it may be time for a re-design. This can mainly happen when you use a website theme because, by their very nature, they’re replicable. If you have too many businesses using the same website theme, they’ll all end up looking the same online. As a result, it can be difficult for a client or customer to tell your business apart if from someone else if everything looks the same. Even worst, at the end of the day, if a customer is trying to decide on two different services or products to buy, all things being equal they’ll choose the lowest price, and you don’t wanna be competing with other businesses just by price alone. That’s an uncool place to be. Your business model or strategy has changed. Everyone’s business/strategy changes over time. The business I had when I first started working for myself four years ago is totally different than the business I have today, and will be even more different 4 years from now! 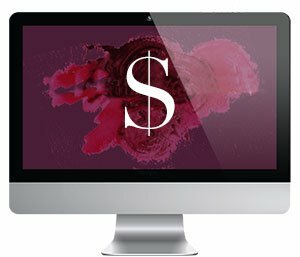 If “survival” (making enough income to live) was your main goal when you started, but now you have big dreams about being a speaker or leading workshops, it may be a good time to re-brand your website so people know these services are available with a fresh new funnel that guides Users to these services. 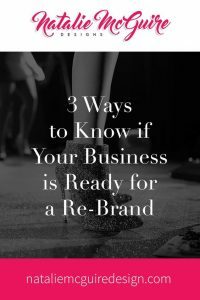 These are just some of the ways to know if you’re ready for a re-design/re-brand, but sometimes it just makes sense to talk to a pro and get their opinion on the matter, too. If you’re feeling stuck in your brand, and are looking for some clarity, advice, and some solid action-steps to move your business forward with so you can acheive your big dreams, a Website & Digital Strategy Review can help you get there. During the Website Review, I’ll look at your business goals, your brand, positioning, digital strategy and I’ll make specific recommendations that’ll set you up for digital success. Next, I wanna hear from you! 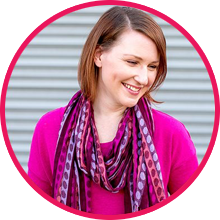 Head on over to my Facebook page and tell me if you’re ready to spring clean your business, brand, website design (or basement.) And in the meantime, I’ll be in my kitchen baking a pie. Yes, it’s only 10am, but breakfast pie is the best kind of pie there is.